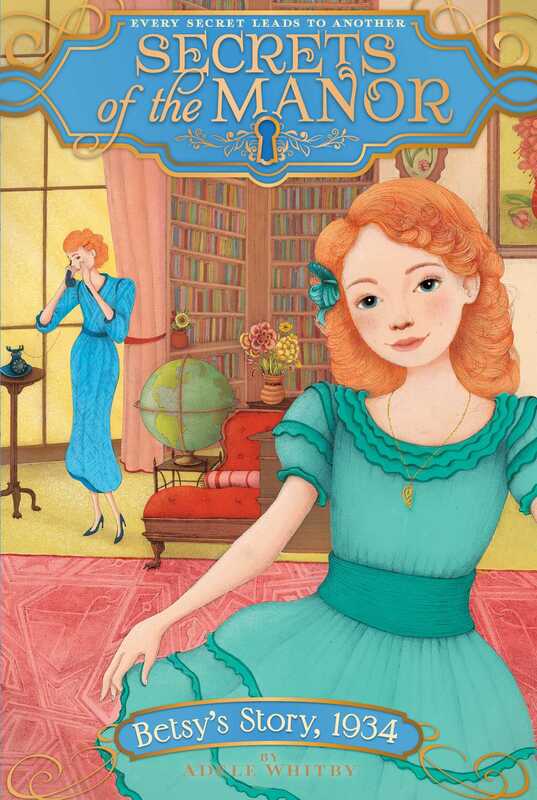 Someone is causing trouble at Chatswood Manor and it’s up to Betsy to find the culprit before it’s too late in the fifth book of this fascinating historical fiction series. Betsy Northrop is about to turn twelve years old and per her family’s tradition, plans are underway for a magnificent birthday ball in her honor. Despite troubling times elsewhere, Betsy’s family is thriving, thanks to the good choices of Betsy’s mother, Beth. But then mishaps—both trivial and disastrous—start plaguing Chatswood Manor. Is someone determined to bring the family to ruin? Betsy vows to expose the culprit, but her home is one where secrets are easily hidden away. Will Betsy be able to uncover the truth and set things right? My breath caught in my chest. For weeks, Madame Lorraine, the famous Parisian dressmaker, had been working on a custom gown for my twelfth birthday ball—which was less than a month away! And now the gown was nearly ready; all that was left for Madame Lorraine to do was add the trim. I kept my eyes shut for another second to savor the anticipation. Was that really me looking back? My new ball gown was the most gorgeous dress I’d ever seen. It was the color of the sky on a summery day; Madame Lorraine had ordered the shimmery silk charmeuse fabric all the way from China. The gown had capped sleeves and a fluttery skirt that hit just below my knees. Madame Lorraine’s creation was more gorgeous than I’d imagined it could be. And it wasn’t even finished yet! I shivered—just the tiniest bit, really—but Mum noticed, of course, like she always noticed everything. “Have you taken a chill, Betsy?” she asked, nodding at the goose prickles on my bare arms. Mum didn’t need to say another word; Maggie immediately crossed the room to close the windows. The April sunshine was so bright and cheery that we’d all wanted to enjoy it through the open windows without giving much thought to the chill in the morning air. “Certainly, milady,” Nellie, Mum’s lady’s maid, replied. Madame Lorraine had brought an entire trunk of trim with her—rolls of ribbons in every color, sparkling beads and rhinestones, and silk flowers more delicate than anything in the garden. It had been almost impossible to choose! In the end, though, Mum and I had both agreed that the shiny satin ribbon and sparkly gold beads would be just the thing to complement the gown—and the Elizabeth necklace, a precious family heirloom that I would receive on the day I turned twelve. Every firstborn daughter in my family had been named Elizabeth in honor of my great-great-grandmother Elizabeth, who had been born almost one hundred years ago. We took different variations on the name “Elizabeth” for our nicknames—I went by Betsy, for example, while my mum went by Beth—but we were all Elizabeths, just like her. But there was even more to the family legacy than our names. There was the Elizabeth necklace. When Great-Great-Grandmother Elizabeth turned twelve, she received a stunning gold pendant in the shape of half a heart, which was set with brilliant blue sapphires. Elizabeth’s twin sister, Katherine, had received a nearly identical necklace, but it was set with fiery red rubies instead. The necklaces weren’t just beautiful; they were deeply significant to each twin, since they were carefully chosen by their beloved mother, who died just a few months before their birthday. Their mother didn’t live to celebrate their birthdays with them, so the special gift she left for each of them became their most cherished possession. When the two pendants were put together, they formed a single, whole heart, which was a perfect symbol for Elizabeth and Katherine, as they were almost never apart. But after the girls grew up, family obligations forced them to separate. As the slightly older twin, Elizabeth had been pledged to marry her cousin, Maxwell Tynne, in order to keep Chatswood Manor in the family. Meanwhile, Katherine had fallen in love with Alfred Vandermeer, and shortly after marrying, they emigrated from England to America, where her new husband founded Vandermeer Steel. The family lived in the beautiful and stately Vandermeer Manor, overlooking the ocean in Rhode Island. That’s where my cousin Kay Vandermeer Wilson, Katherine’s great-great-granddaughter, lived today. Kay and I weren’t just cousins; we were best friends, even though we’d never met. We had so much in common—we both loved Hollywood Hello magazine (me for the articles about radio plays, Kay for the photos of movie stars), dogs were our favorite animals, and our birthdays were just a month apart. And in two weeks, Kay and I would finally meet when she and her parents—Aunt Kate and Uncle Joseph—arrived in England to help celebrate my birthday! I already knew that meeting Cousin Kay for the first time would be the very best birthday present of all. And to make things even more exciting, Mum and Aunt Kate had promised to tell Kay and me a secret on my birthday. A big secret that had been in the Chatswood family for generations. For months now, Kay and I had been trying to find out what it was. But neither Mum nor Aunt Kate would say another word about it. The suspense was driving us mad! I shifted my weight ever so slightly as Mum and Madame Lorraine discussed the trim we’d selected. I flushed with pleasure at the compliment. It was an honor to have Madame Lorraine design my ball gown. My mother’s French cousin, Gabrielle, had surprised us by insisting that Madame Lorraine, her personal dressmaker, travel all the way to Chatswood Manor just to make my special birthday dress. In a few weeks, Cousin Gabrielle would also be joining us for the birthday festivities. I scarcely knew Gabrielle, whose glamorous life in Paris kept her too busy for country holidays at Chatswood Manor, but I was excited about having a house full of visitors. Ever since my father died when I was just a baby, Mum and I had been on our own. We made a good team—Mum and I did almost everything together—but sometimes I secretly wished that our little family were larger. What a change it would be to have the Wilsons and Cousin Gabrielle at Chatswood Manor! Just the thought of laughter at breakfast and cozy evenings in the parlor made me smile. I knew Mum was as eager as I was for our extended family to arrive. “Non, non. I can assure you, it is the very latest fashion in Paris,” replied Madame Lorraine. “What do you think, Betsy?” Mum asked me. “Ahh, oui, gloves for Lady Betsy as well, I think,” Madame Lorraine said. “Well, I’m glad to know that fashions haven’t changed that much,” Mum said with a laugh. We all laughed—even Madame Lorraine. “But not more than me,” I teased. “Tell me the story, Nellie, of how you came to England. Please!” I always wanted to hear about how Mum’s maid, Shannon, had fallen in love with the Vandermeers’ chauffeur, Hank, when Mum had visited Aunt Kate as a girl. Rather than watch Shannon return to England and leave true love behind, Mum and Aunt Kate had conspired to help Nellie and Shannon switch places! It was a thrilling and romantic tale, the sort of story I would expect to hear on the radio during one of my favorite programs. I could hardly believe it had happened in real life! “Oh, it’s perfect!” I cried. There was a soft rap at the door. It was one of the footmen, Adam.